Former Australia women's coach Alen Stajcic held back the tears after being sacked on the basis of two two confidential surveys. Former Australia women's coach Alen Stajcic says his shock sacking last month has ruined his reputation and has called for an independent inquiry. 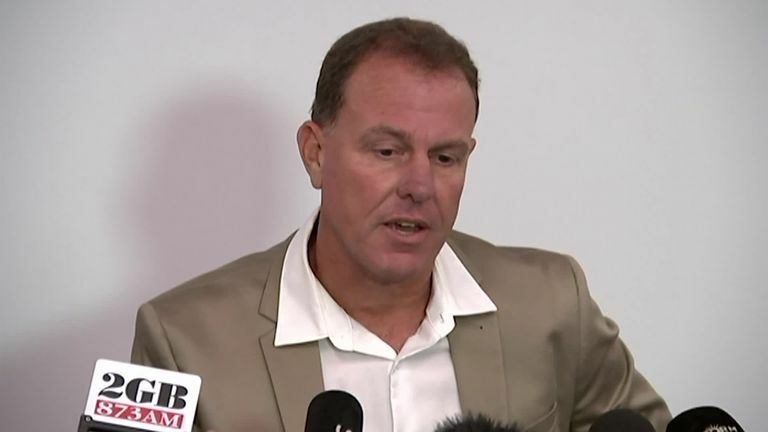 Stajcic, who struggled to hold back tears in a media conference on Monday, said he had considered legal action against the Australian Football Federation (FFA) and rejected the governing body's assertion he allowed "a poor culture" to develop around the Matildas team. "I'm here today to clear my name and restore my reputation after having spent 20 years coaching the game," Stajcic said. "In 20 years of coaching, I've never had an issue around the culture of any single team that I've coached, let alone the Matildas." The decision to terminate Stajcic's contract came after the FFA conducted an internal survey of players and staff, followed by a supplementary review by women's rights group Our Watch. Stajcic said he had only one meeting with FFA CEO David Gallop for "about 20 minutes" on January 18 before being sacked the next day. He added that his requests to see the survey results or get more information had been ignored. "I was terminated without cause, one. Two, there were no actions or behaviours that could be attributed to me. That was the FFA's response," he said. "And if I could add a little bit to that, I saw a tweet from (FFA) board director Joseph Carrozzi saying there is no smoking gun, so that's all I can say." The FFA, in a statement issued later on Monday, said the former coach had admitted to Gallop during their meeting that the team environment was "dysfunctional" and was "always going to be this way." "Our decision to act was driven out of care and concern for our players and people," said FFA Chairman Chris Nikou. "It was and remains our sole motivation. Any suggestions to the contrary are incorrect." His sacking just five months before this year's World Cup sparked a media storm and a number of Matildas players, including striker Sam Kerr, expressed their shock at the decision. "As a father and as a person who is highly engaged in my community, that has certainly been the toughest part to take," he added. "We will fight tooth and nail to get exactly what Alen just spoke about - due process, procedural process, fairness," Football Coaches Australia President Phil Moss, sitting next to Stajcic at the media conference, said.